Life Explored (LE) is a seven session series featuring a combination of short films – shot around the world – and Bible interaction. Life Explored is an exposé of the little gods that promise us so much happiness, yet deliver so little. As it explores the Bible story (creation, fall, redemption, new creation), Life Explored shows how our deepest desires for happiness can only be satisfied in one person, Jesus Christ. The best gift God can give us is himself. 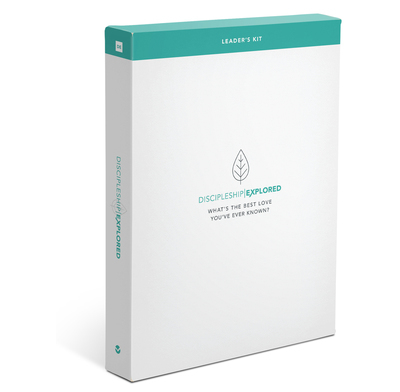 LE has been designed to speak powerfully to those who don’t consider themselves to be religious and have never read the Bible. But it will also provoke good discussions among those who know and love Jesus, too. It’s written by Barry Cooper and Nate Morgan Locke, and is presented by Barry Cooper, Nate Morgan Locke and Rico Tice. The films are produced and directed by Dot&Cross, whose previous work includes Tim Keller’s The Prodigal God, Francis Chan’s Basic, and the Nooma series. See my post on Four Reasons You’ll Love Life Explored. What are the session titles? The timings are flexible. You can run a whole session in an hour, but if you have more time, we suggest using that extra time for Discussion 2. What does each session explore? A preview of the six stories to come on Life Explored, and an introduction to the opening (and closing) question: what’s the best gift God could give you? Explores Genesis 1. Colonial India. A girl’s view of her best friend is changed unexpectedly, and forever. 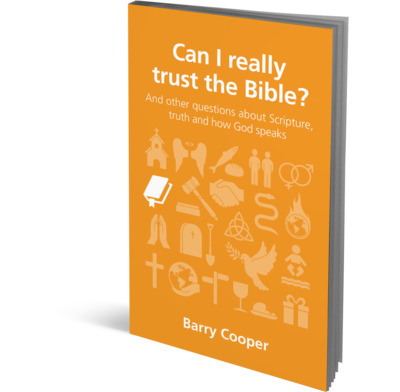 Have we been deceived into believing lies about God? Explores Genesis 3. The Californian gold rush. A prospector risks his life in the quest for gold. How far would you go for what you love most? Explores Genesis 12. Suburbia. A man is hooked by a late night infomercial and feels his life would be complete if only he could have the perfect garden. Have your desires ever left you feeling trapped? Explores Exodus 12. Edo-Period Japan. A woman is drawn away from her husband and family in pursuit of what she hopes will be a more exciting life. What are you hoping will bring you fulfilment in life? Explores John 4. Los Angeles. A Hollywood actress has everything, but something isn’t right. What, if you lost it, would make you feel that life wasn’t worth living? Explores 1 Corinthians 15. In orbit above the earth. As his space station disintegrates around him, an astronaut reflects on those he loves. What’s the best gift God could give you? Explores Revelation 21. Life Explored is as flexible as you are. It’s designed to be run one-to-one (just two people in a home or coffee shop watching the films on a phone or tablet, discussing what they’ve seen), but can also be run with larger groups in a bigger space. For ideas about how to use LE in a commitment-phobic culture, take a look at my blog post One By One One To Ones which namechecks Christianity Explored but applies equally to Life Explored. Do I run LE before or after Christianity Explored / Discipleship Explored? What do I need to run Life Explored? Just pick up a Leader’s Kit. It contains a Leader’s Handbook, a Handbook for your guest, an access code for standard definition digital downloads of the films, and a DVD. High definition downloads of the films will also be available for purchase. If you’re planning to share Life Explored with more than one guest, you can pick up additional Handbooks. For ease of use, the Bible texts for each session are included in the Handbooks. (The version we use is the New International Version). Yes. Some beautiful Life Explored posters, invitations and banners will be available from The Good Book Company. www.life.explo.red. And when you register your course at www.register.life.explo.red, you’ll gain access to Author’s commentaries, streaming films and more. Where and when can I get Life Explored? Life Explored will be available worldwide from 1st September 2016. Visit The Good Book Company online in your region for more information on ordering. Do you have any tips for leading Life Explored? Check out this Cheat Sheet. Any questions I’ve missed? Just let me know in the comments below. May I ask if you have the handbooks in Spanish, Portuguese, polish languages? Hi there. Everyone in our church group is asking where the film clips of the young girl and boy are taken from? Are they secular film clips? We are really enjoying the course! Hey Debbie, glad to hear that! All the short films are original to Life Explored. That particular one we shot in India. Trivia: Nate Morgan Locke and I are actually in that episode if you look hard enough.